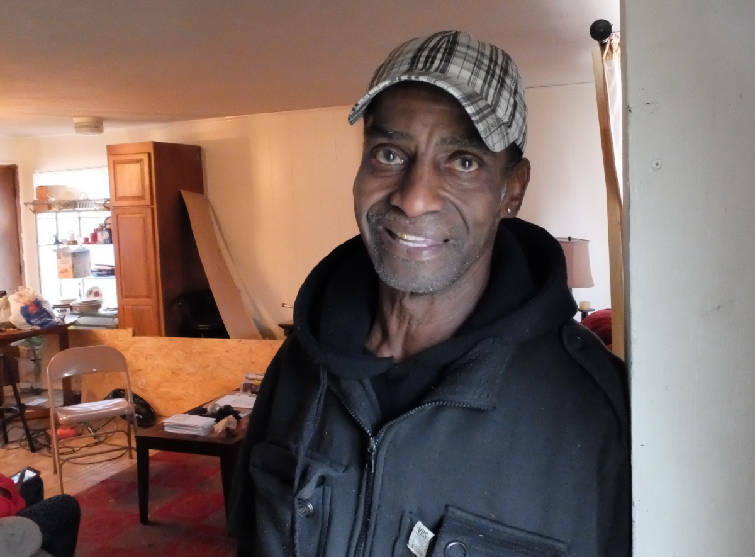 Lawrence Peterson got help with his electric bill from the Neediest Cases Fund. Lawrence Peterson said he's done several odd jobs in his life, but after a car accident last year left him injured, he's had trouble finding work and keeping up with his bills. When Family Promise of Greater Chattanooga and the Times Free Press Neediest Cases Fund helped him pay his electric bills earlier this year, Peterson said it was a "big relief." He received nearly $300 from the fund to help. "It felt great," Peterson said. "I didn't know how I was going to do it myself." In 1914, the Neediest Cases Fund was started by Chattanooga Times Publisher Adolph Ochs as a way for community members to help their neighbors with a one-time financial donation during the holiday season. The United Way of Greater Chattanooga manages the fund. Peterson, a 66-year-old veteran born in Chattanooga, served in the U.S. Marine Corps during the Vietnam War. Later in life, he moved to Indiana and only recently moved back to the area in 2015. After staying in a shelter for a month, Peterson received a housing voucher that helped him move into an apartment in January 2016. But just as he was getting situated, Peterson was in a car crash that injured his back and neck, which has made it hard to pay the rent and bills, he said. Peterson, who also is a diabetic and does not have many family members around to help him, said he's still looking for part-time work. "I can't just sit here expecting that these bills are going to get paid," he said. Cary Bayless, development and marketing director for Family Promise, said the agency now partners with the city to provide emergency shelter for homeless veterans. "It is fairly common indeed for vets to come to [Family Promise] for assistance," Bayless said. Family Promise also received an anonymous donation through the Community Foundation of Greater Chattanooga in 2015 that helped 257 veterans in the area. On average, each veteran received $373 to help with requests. Bayless said the money either secured housing for the veterans or prevented them from becoming homeless.